A balanced diet, rich in fruit and vegetables, is important for our overall health and therefore may also be helping to keep our eyes as healthy as they can be. How your diet may affect your eye condition, depends a lot on the eye condition you have been diagnosed with. Can being overweight affect my eyesight? 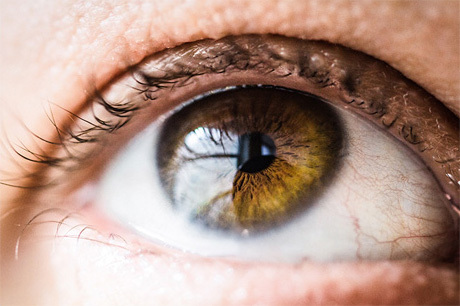 You can reduce your risk of developing these conditions, which can lead to sight loss, by maintaining a healthy weight, or by losing weight if you need to. What do I need for a healthy balanced diet? Most people can get all the vitamins and minerals they need from eating a healthy and balanced diet. Starchy foods such as bread, pasta and rice should make up about a third of what you eat. Wholemeal varieties of these foods will also increase your fibre intake. You should eat between 5 and 10 portions of fruit and veg a day, as they are an important source of vitamins and minerals. These can include fresh, frozen, dried or tinned. The proteins found in meat, fish, eggs, milk, dairy, beans, nuts and seeds are important for repair and growth of your body. Protein is also a good source of vitamins and minerals such as iron, zinc and B vitamins. Fats and sugars are both sources of energy for your body, but if you eat too much it can cause obesity, which in turn can increase your risk of type 2 diabetes, heart disease, strokes and some cancers. Saturated fats can raise levels of ‘bad cholesterol’ which can lead to heart disease. Saturated fats are found in food such as cheese, sausages, butter, cakes, biscuits and pies. Unsaturated fats can help lower cholesterol levels. Unsaturated fats are found in foods such as oily fish, nuts and seeds, avocados and in vegetable and olive oils. It is important to cut down on any added sugar in your diet. Added sugar is found in items such as cakes, fizzy drinks, chocolate and other sweet foods such as pastries and jam. Some people may be advised to take a supplement by their GP or eye specialist.